The podcasts are based on stories already written by MSF staff. We then invite the authors in for a chat about their time with MSF and what they have been up to since. Earlier this year, paediatric nurse Johanna Bosowski embarked on her first mission with MSF to Agok, in northern South Sudan. Because the drugs used in standard treatments have not changed in over 40 years, they are becoming less and less effective due to increasingly high levels of resistance from the virus. In the seventh episode of Everyday Emergency, Australian doctor Amrita Ronnachit discusses her time battling the virus in Uzbekistan, and the case of one patient who struggled with his treatment. Michael has recently returned from his second mission in South Sudan, the world's youngest country in the midst of a civil war. In this podcast, we hear Michael's story of his time in Bentiu, and he tells us about an incredible moment saving the life of a boy and his uncle at 10,000 feet. 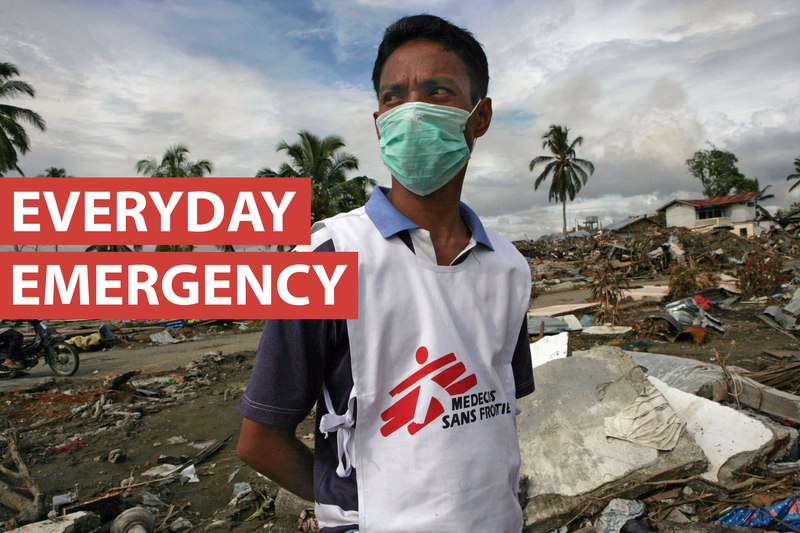 We'd love to know what you think of Everyday Emergency. Please leave us a Facebook comment below, or send us a tweet @MSF_ireland.